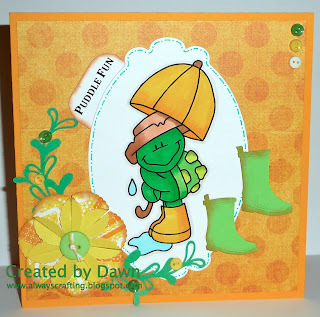 Today at Creative Card Crew we are putting our "best foot forward". The prize for this challenge is a $20.00 gift certificate to Simon Says! What a fun card! Adorable image too! Such a fun card! Cute image! This is adorable!! I love the bright colors! Thanks for playing along with us at Catch the Bug! 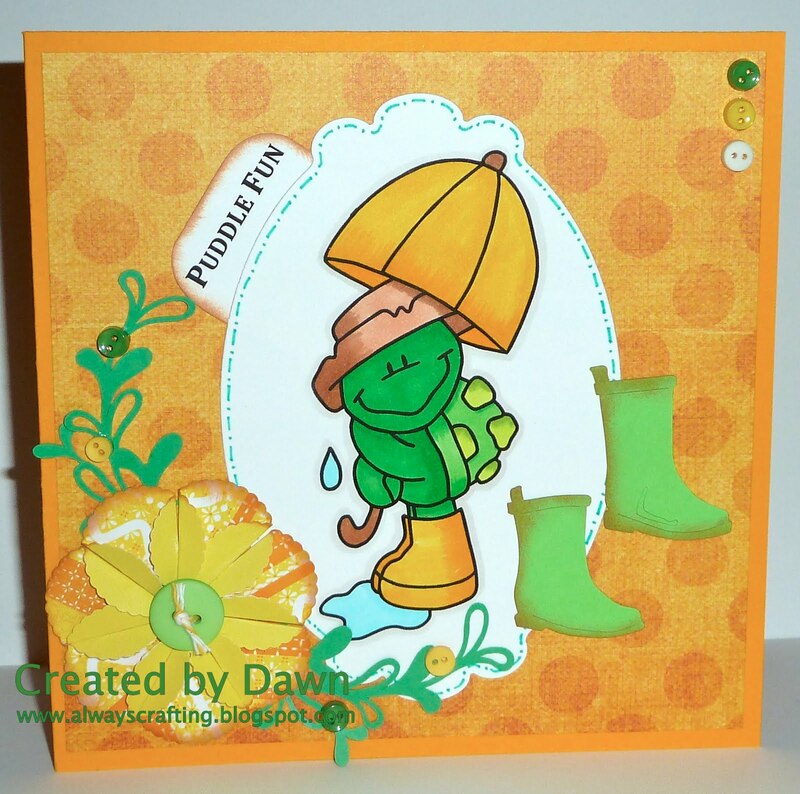 Adorable card, Dawn!! Love the froggy and fun sentiment. Have a wonderful weekend!! cute card! love your coloring! thanks for playing this weeks Bugaboo challenge at catch the bug! I love how you have used that nestie cut out. I have them and haven't used them enough. Hope you had a 'SPLASHING' time with our challenge. So glad you shared your project with us for this challenge at Bugaboo.